Smartphones are everywhere — retail stores, coffee shops, libraries, public transit. In fact, you may even be reading this post on a smartphone right now. More than 25% of American adults say they’re online “almost constantly,” thanks mostly to smartphones and other mobile devices. Even with the prevalence of smartphones, many businesses still aren’t in the mobile-first mindset when it comes to their marketing and web development. If you’re not keeping mobile use top of mind and at the forefront of your marketing efforts, you’re likely missing sales and engagement opportunities. If you want to improve your mobile marketing, here are five easy steps that can help you make your marketing more effective with smartphone users. 1. Make important information (like directions, contact details, etc.) easy to find. 2. Automate the mobile checkout process. 3. Check your site speed regularly. 5. Capitalize on “Near Me” searches. Let’s dig into each step a little more below. 1. Make important information easy to find. When designing a mobile-friendly website, think about what a customer might need from you while on the go. Things like your company’s hours, locations, contact information, and directions come to mind. Make sure those important details are clearly listed, easy to find, and simple to navigate to via your app or mobile site. Now that they’ve found your business or made it to your retail location, they’re still not putting down their phones. More than half of customers also use their smartphones to compare prices and research products while in store, so be sure your products and prices are also prominent and easily accessible. The easier your mobile ordering process is, the less likely your customer will abandon a purchase. That’s why you want to make your online ordering process as seamless as possible. Keep the user logged in indefinitely. Save user account information and payment methods. Save recently-viewed items for them to easily go back to. As long as you’re staying compliant with all legal and ethical guidelines and allowing users to opt in or out, customers will appreciate having less steps to finalize their purchase and have a better overall purchase experience. There are plenty of online tools available that can help you test your mobile site speed, and you should do so often. If pages aren’t loading quickly, consider compressing files, reducing the number of plugins on your site, and other best practices. Use plenty of visual elements (but be sure they’re optimized). Break up text with catchy headlines, subheads, and bullet points to make it more digestible. You may also want to summarize your content right away at the beginning to provide quick answers for on the go mobile users who are just skimming. If you’ve ever used your phone to search for the nearest gas station, restaurant, or retail location, you’re not alone. According to Google, mobile makes up 88% of all “near me” searches. So how can you capitalize on people searching for your products and services? Set up and optimize your Google My Business profile. Utilize geo-customizers and proximity targeting to target ads based on mobile location. Include local data (address, phone number, hours, reviews) on your website and other platforms. Is your marketing working with mobile smartphone users? If not, we’ll walk you through it with our handy guide for creating a mobile marketing strategy. 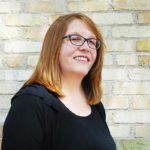 PreviousPrevious post:When should marketing become involved in website development?NextNext post:E-Power Welcomes Andrea Thiel!